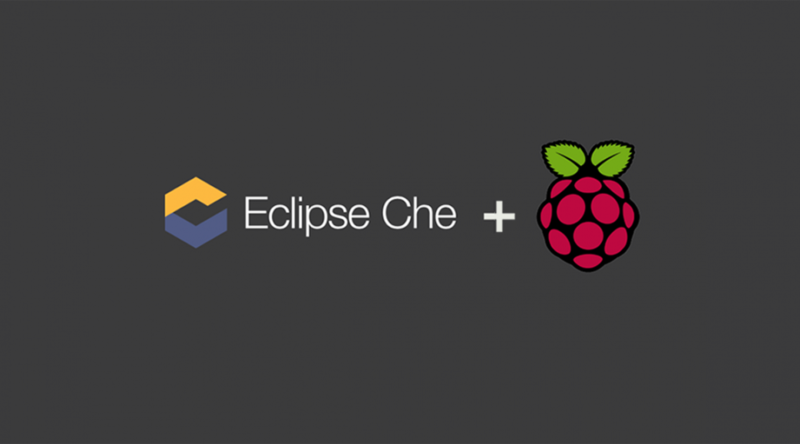 Eclipse Che is a very cool Eclipse technology that provides you with a browser-based IDE that can be extended with plug-ins for virtually any language, framework, or tool that you may want to use in your day-to-day development. Assuming you are running an up-to-date Jessie distribution, it should be fairly straightforward to install the armhf version of docker provided by the Hypriot team. This should grant you with an empty list of running docker containers. How surprising!? But at least it means you have Docker setup taken care of! FWIW, the Hypriot folks have a Debian repo for making things easier. I have had problems with it though so you may want to stay away from it until they fix it? When Che creates your development environment, it instantiates a Docker container that has the tools you need. That is to say, if you are to do Node development, Che can provision a so-called “stack” that contains npm, grunt, etc. The stacks configured by default in Che are based on x86 Docker images, so you will need to replace them with armfh-compatible ones. I’ve built an image for Java and Node development, which means you’ll be able to use the “Java”, “Node”, and “Blank” ready-to-go stacks. Should you want to have a look at the Dockerfiles for those, see here. Note that you don’t have to use the built-in stacks, and you can also create your on-the-fly, using a custom recipe. There as well, the base Docker image you’re building from will need to be ARMHF. You may want to use images from hypriot or armv7 on DockerHub. The Raspberry Pi 3 is quad-core, which means you actually get some very decent performances out of it. However, it’s still an embedded sort of device, and SD cards are typically not fast either. It’s a good idea to increase the timeout Che uses to detect a workspace is properly provisioned. You can actually add this to your ~/.bashrc to make sure JAVA_HOME is always set. That’s it! You can now use the Java and Node stacks, and start using your web browser to develop right on your Pi, with *all* the features you would expect from a “real” IDE. Enjoy, and stay tuned for a video tutorial soon.